Willie Nelson released his first studio album in 1862 and now, 56 years later, at the age of 85, shows no sign of slowing down. My Way is his 12th release since 2010. Nelson’s new album, as the title suggests, is an album of songs made famous by Frank Sinatra. He is one of the few living artists who could even attempt an album of this type as Sinatra made just about any song his own and his versions are considered definitive. Nelson is an iconic country artist but has moved in a pop and easy listening direction on a number of occasions. His voice may not be as strong as in the past but it has acquired a nice patina. He brings a weariness and nostalgia to the songs as opposed to Sinatra’s smoothness. Possibly the best track is “One For My Baby (And One For The Road), which is closer to the original. The most interesting track is a duet with Norah Jones on ‘What Is This Thing Called Love,” which gives it a different spin. 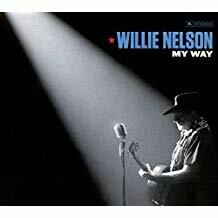 This is not country Willie; this is the Great American Songbook Willie. Sinatra’s originals are always worth a listen but Nelson does a credible job providing a different take on many of these classic tunes. Fifty years ago this week, the following reviews appeared in Cashbox Magazine. 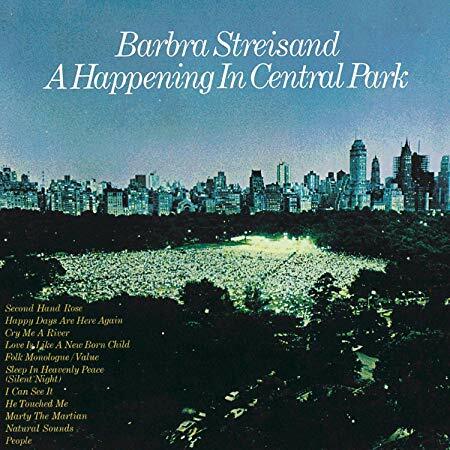 This long awaited album contains highlights from Barbra Streisand’s famed June 17, 1967 Central Park concert. 135,000 fans flocked to Sheep Meadow to hear the songstress deliver “Happy Days Are Here Again,” “Cry Me A River,” “People,” “Love Is Like A New Born Child,” and 2 1/2 hours worth of other numbers. If those same 135,000 people buy this LP – better have a good supply in reserve. 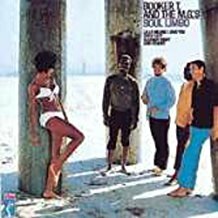 Named After their current hit, “Soul Limbo,” Booker T & the MG’s new album is a winning effort and their most versatile set to date. 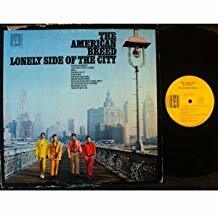 The famed soul instrumental group lends its talents to a wide variety of numbers including, besides the title tune, “Be Young, Be Foolish, Be Happy,” “Hang ‘Em High,” Eleanor Rigby,” “Foxy Lady.” and six others. Should be lots of chart and sales action in store for this one. 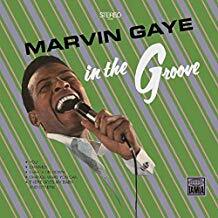 Marvin Gaye has been hitting on two fronts lately, both as a solo and as Tammi Terrell’s disk partner and his popularity is at an all time high. After a few excursions with pop-oriented albums, Gaye returns to the straight soul fold with this set, which includes his last hit, “You,” his current single “Chained,” “Loving You Is Sweeter That Ever,” and two solid renditions of past Drifters’ hits “Some Kind Of Wonderful” and “There Goes My Baby.” Should Happen Big. Jeannie C. Riley’s “Harper Valley P.T.A.” has been the biggest single of the late summer season, and her follow-up album is insured a heavy amount of sales. The set stands on its own merits, however. For those who enjoyed “Harper Valley P.T.A.” there are several other songs about the folks in Harper Valley, and Jeannie C. Riley sings them, and all the other numbers on the set, in fine style. Watch this one go. Lots of gentle, appealing rock sounds fill this album from the American Breed. Particularly pleasing are “Always You,” “Walls,” “Partners In Life,” and “Out In The Cold Again.” There should be an appreciable market for this type of easygoing rock, and the group’s followers should find the disk to their liking. 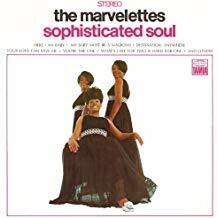 The Marvelettes star is on the rise, thanks to such hits as “My Baby Must Be A Magician” and “Here I Am Baby” (both included here) and the many fans they have accumulated over the years should turn out in full force for their latest album. The Motown trio shines brightly on such sides as “Destination: Anywhere” and “What’s Easy For Two Is Hard For One” (both sides of their new single) as well as “Your Love Can Save Me.” Good set, good action. 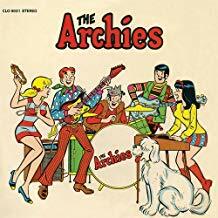 “The Archies,” based on the famous comic strip, will be a Saturday morning CBS cartoon feature this Fall (produced by Norm Prescott, Lou Scheimer, and Hal Sutherland of Filmation) and will guarantee a wide audience for the songs in this album, which will be featured on the show. Don Kirshner, who supervised the Monkees’ early disk efforts, is the man behind the idea for this set. Jeff Barry produced the deck and wrote most of the songs. “Bang-Shang-A-Lang” is already starting to climb the singles charts. Expect nothing but success for this LP. Don Ellis, 1934-1978, was an avant-garde jazz big band leader/drummer/trombone player/composer who found mainstream commercial success with the rock audience of the late 1960’s and early 1970’s. His 1970 live release, Live At The Fillmore, was the apex of his career. It set the stage for further experimentation within a big band setting before his untimely death of a heart attack at the age of 44. Ellis began his career with the reconstituted Glenn Miller Orchestra, followed by stints with The United States Army Band, and Maynard Ferguson. His first group was the Hindustan Jazz Sextet, which incorporated a sitar into a jazz setting. By 1968 he was leading a big band and was signed to the Columbia record label. While his live albums were always spontaneous and inventive and in many ways the best of his career; his 1973 release Soaring was perhaps his most innovative and adventurous studio release. 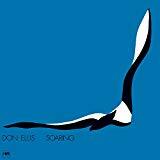 Soaring was recorded with 22 musicians including a 12 man horn section, three percussionists, a four string quartet, and Bulgarian jazz piano virtuoso Milcho Laviev. Somehow it all came together and resulted in one of the unique jazz releases of the era. Recording within a jazz context; he incorporates funk, classical elements, and European folk traditions to produce an eclectic fusion of sounds. The music is relaxed, introspective, and some of the most intricate ever recoded. “Go Back Home” is an upbeat tune with a brilliant tenor sax solo by Sam Falzone. “Sladka Pitka” harps backs to his early jazz experimentations with old world folk music. “The Devil Made Me Write This Piece” is Ellis’ last known recording as a drummer. “Invincible” is Ellis’ crowning achievement in the studio. It builds upon itself with constant tempo and chord changes and finally soars away. Don Ellis’ death at a young age due to heart problems ended a career that explored music from unique perspectives. Soaring is an important chapter in his legacy. Ashleigh Flynn has been around for awhile, both in the studio and on the road. Ashleigh Flynn & The Riveters are new and have just issued their self-titled debut album. A debut album is always a leap of faith. It is announcement to the world of who you are musically, for better or worse. And so we come to rebirth of Ashleigh Flynn with her backing band the Riveters. As a solo artist, Flynn was a troubadour type singer. The focus was just on her as she produced a peppy form of folk music. A backing band allows he to stretch out a bit and explore country and pop idioms and even add a little blues influence. The sound is fuller and more complete. Her songs may never have a gritty reality but they do have a self-confidence and a positive approach, and in the music world, that is becoming all to rare. “This Love,” “The Sound Of Bells,” “You Will Remember,” and “High On A Mountain” are journey’s though the mind and soul of Ashleigh Flynn. 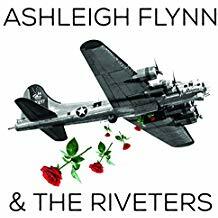 Ashleigh Flynn & The Riveters is the beginning of a new journey. Their debut album is a good first step. 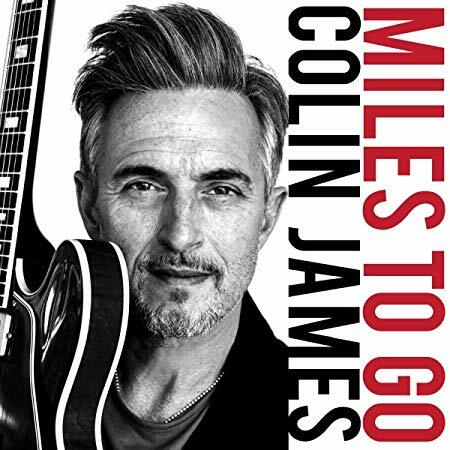 Veteran Bluesman Colin James has just released his 19th blues album, and that is a lot of music, and a lot of love for the blues. James has always been a blues purest and his new release reflects that fact. He reaches back to the past for nine of the albums eleven tracks. While he using a backing band, and at times a brass section, his devotion to blues history shines through on his interpretations of gems by Howlin’ Wolf, Muddy Waters, Blind Lemon Jefferson, Little Willie John, Robert Johnson, and the like. A strong point in the material is his selection of the cover tunes. He has avoided many of the aforementioned blues masters well-know songs and delved a little more deeper into their catalogues. “Ooh Baby Hold Me,” “Soul Of A Man,” “See That My Grave Is Kept Clean,” “Dug My Self A Whole,” and “Still A Fool” are a wonderful ride through blues history with some modern accents. Colin James is fast becoming one of the grand older men of the blues. Miles To Go is another solid link in the blues chain by a modern day master. Mick Kolassa is like an old friend. He shows up at you door every year or so, drops off an album of new music, and then continues on his way until next time. 149 Delta is the latest stop in Kolassa’s musical journey. His last two releases concentrated on cover songs, including an album of acoustic Beatle songs, recorded from a blues perspective. Now he has returned to his own material as 9 of the 12 tracks are original compositions. The Taylor Made Blues Band adds a new element to his music as a full backing band fills in the sound an gives it added textures and depths. 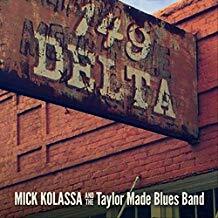 Mick Kolassa has issued another a blues masterpiece. 149 Delta is an album worth exploring. Kimi Penton may be a songwriter and she may be a classically trained violinist, but it all comes down to her voice. She has a soprano voice that is a gift and it tends to be the focal point of her music. She has now issued her second release; a six-song EP titled Where The Rain Falls. Unfortunately, it only provides a taste of her style and sound. Hopefully a full album in the same vein will follow that will further explore her talent. Her new material is a little different than that of her debut album Lessons From Life And Love. Her music still has distinct folk leanings but she veers toward a pop and Americana sound at times. “First And Last Time,” “Stepping Stones.” and the title track are representative of her songwriting, singing, classical violin training. 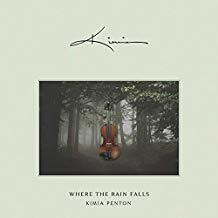 In many ways the music of Kimia Penton is still a work in progress. The six songs that comprise Where The Rain Falls serves to whet the appetite as to what will follow.